While its Q4 earnings beat was impressive, SNAP has a long way to go before Snapchat stock is attractive. 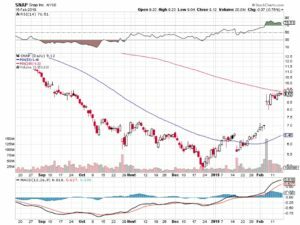 For many analysts including yours truly, Snap (NYSE:SNAP) stock was an easy target to pick on. A social media company that weathered multiple controversies and identity crises, SNAP had many troublesome issues that hurt SNAP stock. Last year, Snapchat stock lost over 62%. Yet seemingly out of nowhere, SNAP stock found its second wind. Surprisingly, SNAP is one of the top players in the markets this year. 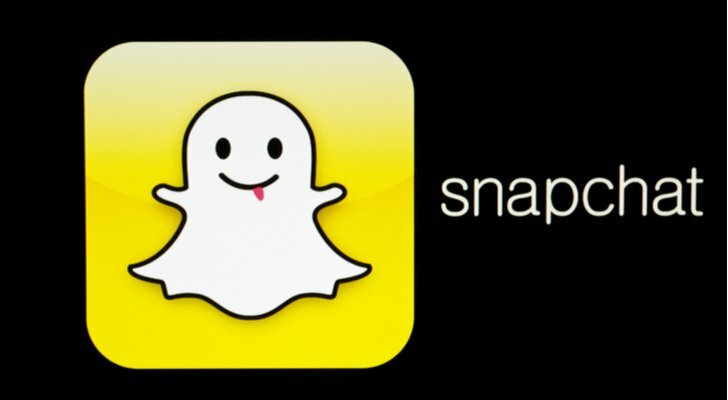 The company’s favorable fourth-quarter earnings report is responsible for most of the enthusiasm towards SNAP stock. SNAP reported a loss per share of 4 cents, beating analysts’ consensus estimate which called for an EPS loss of 7 cents. However, the real treat for Wall Street was the company’s revenue haul. The social media firm’s top line came in at $390 million, beating the consensus forecast of $378 million. Furthermore, SNAP’s average revenue per user (ARPU) increased to $2.09, beating analysts’ average estimate of $2.05. Finally, in Q4 its global daily active users hit 186 million, beating the average forecast of 184.6 million. All told, it wasn’t the better-than-expected results that impressed the markets. Rather, SNAP finally demonstrated that it’s viable. While it has always dominated the lucrative youth segment, it had difficulty translating that dominance into decent results. Perhaps that’s no longer the case. Analysts now believe that Snap’s momentum can continue, enabling its revenue to increase further. Certainly, those who recommended speculating on SNAP stock finally have credibility. Last September, InvestorPlace’s Will Ashworth stated that SNAP stock was worth gambling on as long as it stayed under $10. As is usually the case, he was right on the money. Year-to-date, SNAP stock is up over 69%. The company still lost $576 million on an adjusted EBITDA basis (in 2018) despite a much stronger fourth quarter. Its free cash flow in 2018 was -$810 million, a mere nine million better than a year earlier. That’s hardly a pathway. Plus, SNAP stock isn’t as compelling as other tech firms that initially swam in red ink. For instance, critics slammed Amazon (NASDAQ:AMZN) and Facebook (NASDAQ:FB) during their early build-up due to their lack of profitability. But these companies dominated their industries and helped transform the tech landscape. SNAP only dominates the fake-rainbow sector. Further, I question Snap’s ability to move the needle. During the Q4 conference call, CEO Evan Spiegel noted that Snapchat’s user engagement stabilized. Also, stabilizing user engagement contradicts Spiegel’s other ambition, which is to increase the company’s share of Android users. I appreciate the effort, but Snapchat stock has a long-term credibility problem. Show me, don’t tell me. Unfortunately, SNAP’s fundamentals remain poor on several fronts. If I remember correctly, every InvestorPlace story I wrote about SNAP stock discussed its demographic limitations. My column, “Snap Inc (SNAP) Stock Found the Fountain of Youth, Unfortunately,” adequately covered this topic, so I won’t rehash it here. What I will say is that in prior analyses, I focused on competitive concerns. For instance, once users outgrew Snapchat, they’re more likely to gravitate towards Facebook. Simply put, the latter offers more professional, utilitarian applications which millennials find invaluable. But since ARPU was one of the highlights of SNAP’s Q4 results, we need to discuss the company’s revenue outlook. As I previously mentioned, SNAP wants to capture more Android users, using its latest-generation Android app. Spiegel sort of has a plan to accomplish this. He mentioned that there are more than two billion Android users. Therefore, taking a small percentage from this big pond will yield a huge payout for Snapchat stock, he contended. But as Ashworth retorted, that’s easier said than done. I’ll go a step further and say it’s next to impossible, given SNAP’s narrow demographic focus. When it comes to ARPU, whom is SNAP going to target for revenue opportunities? Snapchat’s advertisement sales and engagement run a distant third to Facebook and Twitter (NYSE:TWTR), who are first and second, respectively. Even more problematic, media and entertainment firms run the most advertisements on Snapchat’s platform. That’s fine, but the company won’t be able to raise its ARPU by selling ads to companies in other sectors. Furthermore, the makers of alcoholic beverages can’t advertise on Snapchat because most of its users can’t legally drink. Also, car companies, professional services, and real estate firms (among others) can’t advertise on Snapchat either because young people lack the funds to take advantage of their offers. Finally, I don’t think investors should chase SNAP stock due to its technical risks. For starters, Snapchat stock is very volatile. Recall that SNAP stock tumbled over 62% last year. To make up that loss, SNAP stock will need to rally over 163%. While this year’s bull run is a great start, SNAP is still a long way from making up its losses. In addition, the Street will want SNAP to report strong Q1 results. If that doesn’t happen, SNAP stock could plummet again. But SNAP stock could also drop before we even get there. I can’t help but notice that after its recent surge, Snapchat is just underneath its 200-day moving average. I think SNAP won’t push past this technical barrier without reporting meaningful news. If SNAP had the pathway to profits that Ashworth mentioned, I might take a gamble on the shares. But it doesn’t. Snapchat stock is as problematic as it has always been. A single earnings beat doesn’t change that outlook. Article printed from InvestorPlace Media, https://investorplace.com/2019/02/3-reasons-why-you-shouldnt-chase-snap-stock-fimg/.